Craft beer pricing is one of those things that is constantly in the back of my mind. It's almost comical to watch the increasing demand for rare and "special" beers produce prices that are in some ways totally insane. If enough people chase these beers, escalating prices are the result. 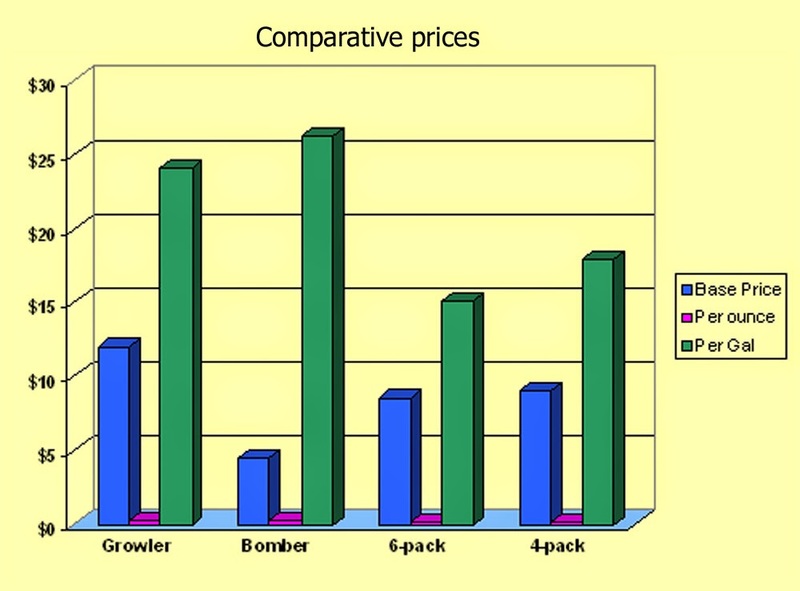 I was first looking at price strictly from the standpoint of retail packaging vs. growlers. There are some fairly wacky things going on there, as you will see. The best and worst deals aren't necessarily what many think. Then I took a look at festival pricing, which is home to some true insanity. A few notes on pricing. I came up with some averages for the various forms of packaged beer. For growlers, I used $12. For 22 oz bombers, $4.50. For six-packs of 12 oz bottles, $8.50. For four-packs of 16 oz cans, $9. There are certainly prices above and below those values. If anything, I think my averages are probably on the low end. 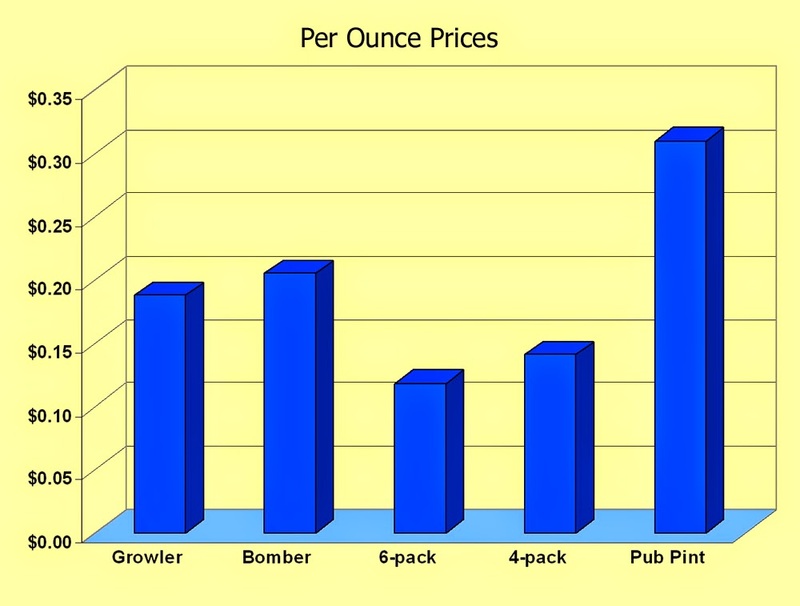 Looking at the graph, it's pretty evident that 22 oz bombers are the worse packaged deal around. Growlers are a close second. Six-packs are easily the best deal. The obvious argument for bombers and growlers is that you often can't buy those beers in smaller bottles or cans. Fine. I have little problem with those who are willing to pay a premium for a beer that can only be had by growler or bomber. Go for it! What doesn't make any sense at all is getting a growler fill or buying a 22 oz bottle of something you can get in a six-pack. You're wasting money. The high price of growlers suggests they are tied to pint pricing. Indeed, pints bought in a pub (average price of $4.50) are a worse deal than growlers or bombers by more than 10 cents an ounce. I suppose this is related to the overhead associated with serving that pint. There's some of that with growlers, as well, but they look like a bargain next to pints. Something to keep in mind with respect to pub pints is the glass. I used a value of 15 ounces, to account for foam in a pint glass. But most watering holes use shaker pint glasses for beer. These things hold 14 ounces, at best. A little foam on top turns that pint you just ordered into 12-13 ounces, which bumps up the cost per ounce and gallon. So my numbers are generous. Summer is festival season and summer is here, more or less. There are several large events on the docket and numerous smaller ones. Tasting costs have increased in the last couple of years, almost in concert with the blitzkrieg schedule. Growing demand apparently means higher prices. 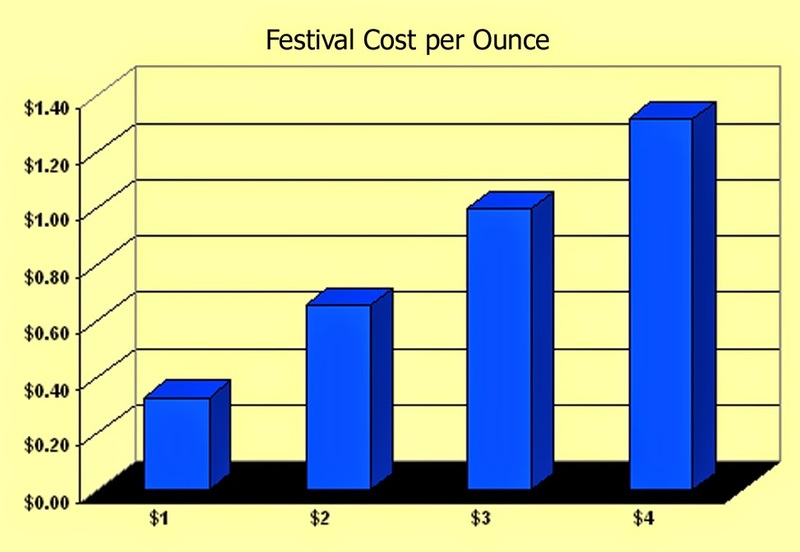 A few years ago, most festivals offered a 4 oz taste for $1 in cash or script. Within the last year or so, they have mostly gone to a 3 oz taste for the same money. Even that is a bit deceiving due to the escalating number of "special" beers that require two, three or four tokens for a taste. Seriously. The standard 3 oz festival taste is a marginally worse deal than a pub pint (33 vs 30 cents an ounce). Of course, you may be tasting something reasonably unique and you might be tasting it in a unique setting. So you can't get too excited about the cost difference. The double token taste makes matters significantly worse. Now your per ounce cost has jumped to 66 cents, $84 a gallon. 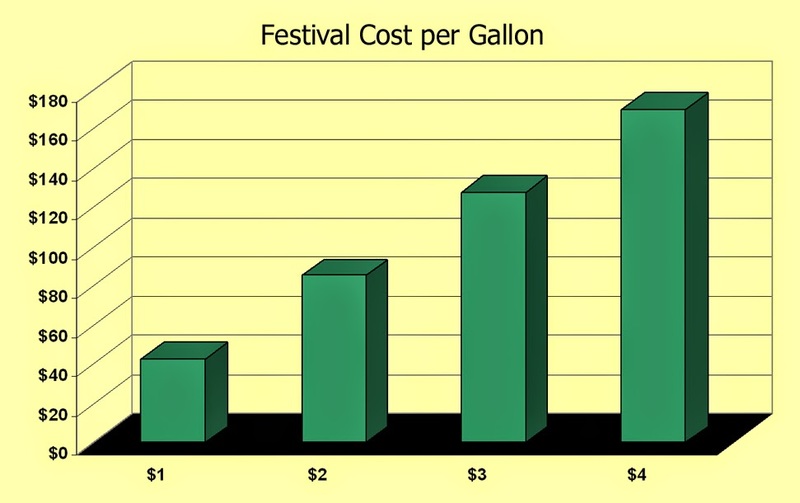 Folks who think gas prices are high evidently never heard of beer festival pricing. The only plausible scenario in which the double token taste makes sense is something truly special. And then barely. The three token taste, which I've already seen and will certainly see more of this summer, is truly offensive. Your cost per ounce has now reached $1 and the cost per gallon has risen to $128. Let's hope OPEC doesn't hear about this. The four token taste...well, never mind. 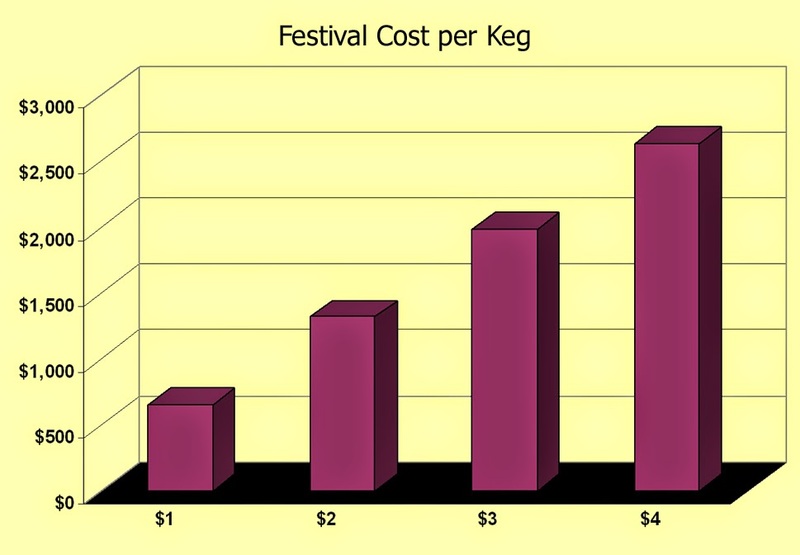 If you take festival prices and extrapolate the numbers to keg price, the numbers are astounding. The standard taste yields a keg price of $650. The double token taste keg would be worth $1,300. The triple token keg would be $1,980. The four token keg, $2,640. These prices are for standard half barrels, and most of these "special" beers are poured from smaller kegs. Still, you get the idea. I was telling some friends at a recent festival to avoid the multiple token beers.They didn't and there was a bit of buyers remorse. Hey, it's your money and you get to decide how to spend it. But there aren't many beers worth two, three or four tokens and the associated price per ounce, gallon and keg. In fact, these numbers are fairly shocking. The organizers dreaming up these prices have a great sense of humor, I think. 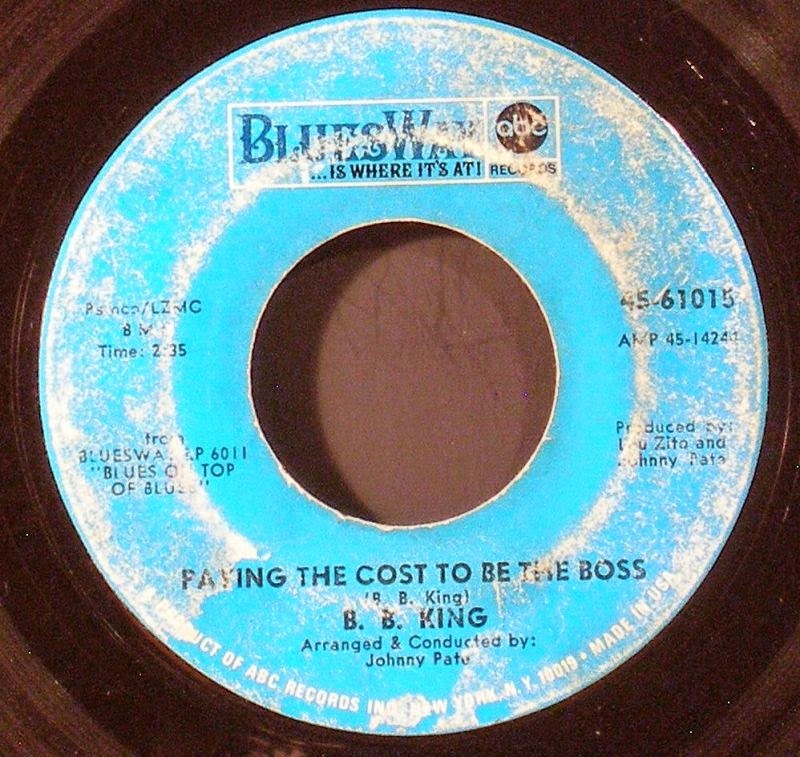 They know they can do whatever they want as long as there are hoards of fans who want "special" beers and don't mind "Paying the Cost to be the Boss." And so it goes. With apologies to B.B. King. Ounces... gallons.... The easiest way for most of us to visualize beer prices is the Six-Pack Equivalent or SPE. So for $1, a 4-oz. pour used to have an SPE of $18, now at 3 ounces it's $24. I'm a big cheapskate, and that sounds like a lot, but $24 is the same SPE as the $5 shaker pint you get at, say, Green Dragon (assuming about 15 ounces in an unmarked conical glass). But I absolutely agree about the 2- and 3-token tastes. I occasionally do one if I'm very curious about something, but it is a ridiculous price. I know you've done a lot of work on this issue. I read your updated price sheet the other day. Good stuff. I'm afraid this piece got a little too far afield talking about gallons, kegs and ounces. Your SPE makes good sense because it's how people think. I'm going to be beating up the shaker pint glass soon. These things need to be gone. But they won't be because they help pubs and bars make more dollars per keg while giving customers a false idea of what they're getting.